The prodigal Start menu returns? Windows 8.1 is here to fix all that ailed Windows 8 users; first came the reintroduction of the Start button and now it seems the Start menu will also make a comeback. 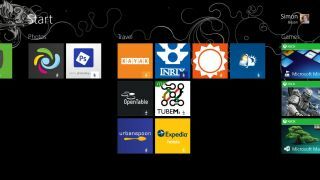 Citing sources in know of Microsoft's plans, Paul Thurrott of Supersite for Windows reports that the Start menu will return as an option that will pop up when clicking the Start button – you know, like it always used to. The menu is said to come in the next version of Windows (codenamed Threshold, potentially Windows 8.2), but it may only be available for on desktop versions of the software. Another rumored returning fan favorite is the ability to use Metro apps running in Windows on the desktop instead of only displaying in their full screen mode. As counter intuitive as it may seem, the current Windows OS does not allow multiple Metro apps - such as Skype and SkyDrive - to float on the same screen without running a third party application such as ModernMix. Thurrott isn't alone with the future Windows tidbits; in detailing more upgrades, ZDNet's Mary Jo Foley detailed how Microsoft is preparing to rollout a slew of post-Windows 8.1 updates for desktops, Windows Phone and Xbox One. These, by the way, fall under the Threshold umbrella. According Foley's informants, the next wave of Windows releases will ship in three product SKUs. The trio will come with a consumer-focused Windows (see the RT version today), a consumer release based on the x86 codebase for desktops, and a traditional enterprise SKU for businesses and the IT crowd. The new development is supposedly a move to bring the disparate versions of Windows for different devices closer together from an end user's experience perspective. We wouldn't put this plan for a truly consolidated OS past Microsoft; one need only look at the Windows kernel inside the Xbox One's operating system to see Redmond's intentions. Wonder where a cool name like Threshold came from? Halo probably had to do something with it.